Azerbaijan's state energy company SOCAR has eliminated the fire in the gas exploration well at the Caspian field Bulla Deniz that has been blazing since August 17, a source in the oil and gas market told the Baku-based Trend news agency on October 24. 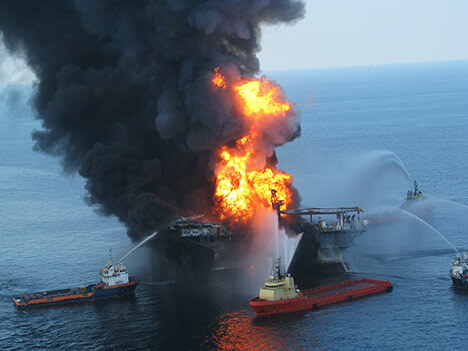 SOCAR said that due to the conscientious efforts of the company's experts and the American company Boots & Coots, the process of installation of anti-gushing equipment at the well was completed and the well was fully taken under control, as a result of which the fire was extinguished. According to the state oil company, currently work on liking the well with the manifold is underway. "The accident will be absolutely eliminated and the delivery of the produce acquired from the well to the system will be ensured in the next stage," SOCAR said. The fire flared up at the well at a depth of 5,868 meters. All of the 60 people working on the platform were evacuated. According to SOCAR, the fire erupted at night on August 17 during drilling work. A gas blowout occurred at 23:30 local time, which was followed by fire. As a result of the accident, 62 platform workers were evacuated to safety and no casualties were reported. Bulla Deniz is estimated to contain 17 billion cubic meters of natural gas. SOCAR has been developing the field since 1975. There are currently 15 operational wells at Bulla Deniz. SOCAR pumped about 62 million metric tons of gas and 11 million tons of condensate from the field between 1975 and 2009.